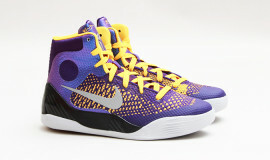 Nike Basketball are getting in the holiday spirit again this year with another Christmas pack, this time reworking their iconic Lebron 11, Kobe 8 System, and KD VI. 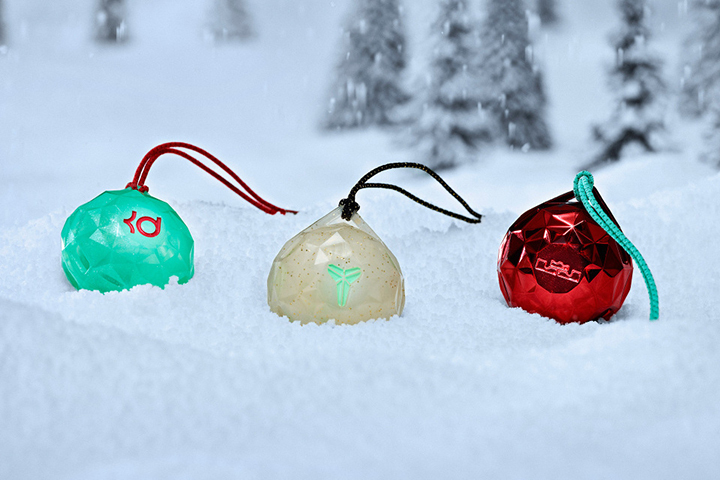 All three styles come in crazy winter-inspired colorways with their own respective signature logo lace locks that double as Christmas tree ornaments. 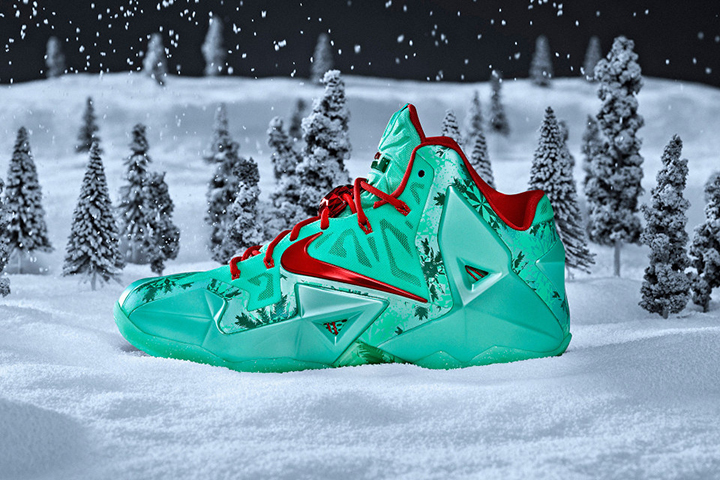 First up, the Lebron 11 gets minty fresh with hits of metallic red and a subtle ‘palmsicle’ print on the upper. 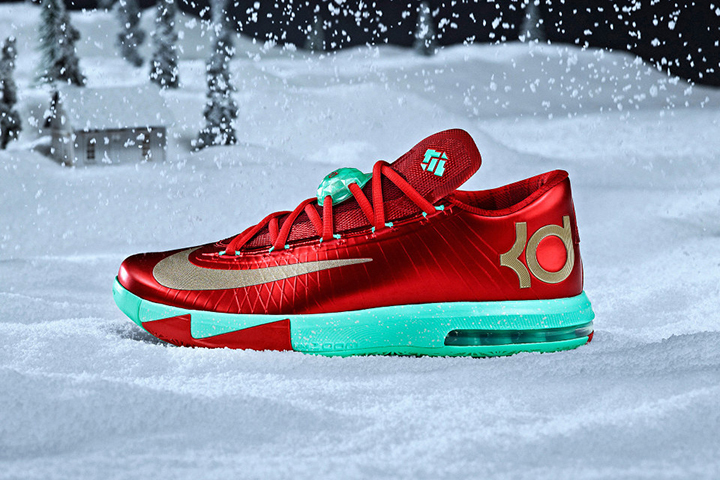 The KD VI gets a similar treatment but flipped, sporting a metallic red upper with a knit-looking pattern on the heel, gold swoosh and accents, and a mint midsole. 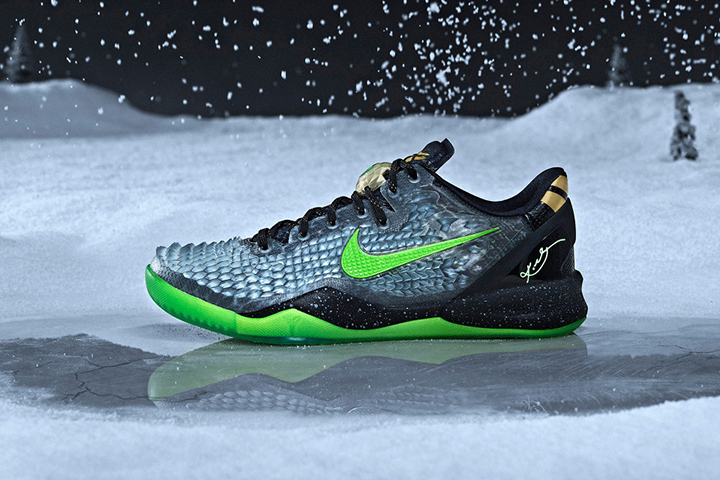 Lastly, the Kobe 8 System goes wild with a spiky translucent ice crystal upper with neone green midsole and pops of gold and black. 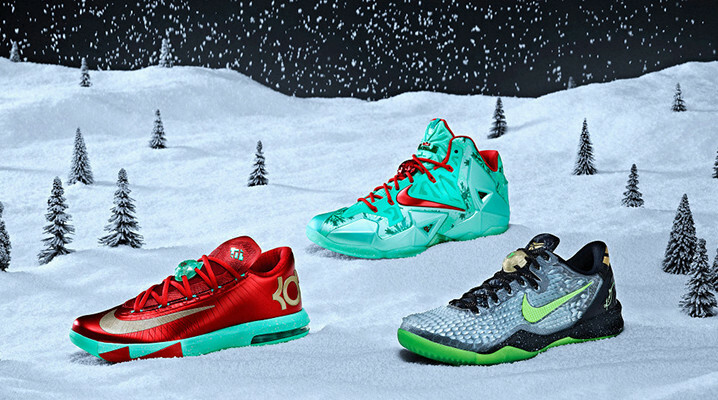 This trio of Christmas kicks drops December 26th so check them out at Nike online. Dime Of The Day: Christmas Edition!